Hi there, wine and romantic landscape lovers! 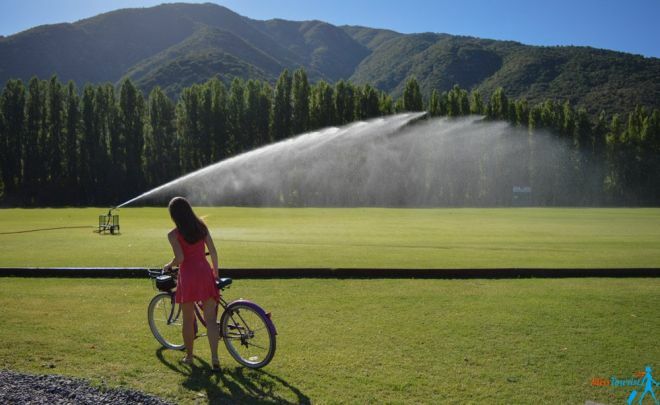 This post is about my favorite past time in Chile. Wine, wineries, vineyards :). It’s not a secret that Chile is famous for its amazing wine. Chileans have “carmenere” – a type of grapes that originally grew in France, but it is now extinct there and was recently rediscovered by accident in Chile. Being such an extended North to South country, Chile has a huge variety of unique and particular weather conditions. Chile is everything from the driest desert in the World – the Atacama Desert on the North to the Glaciers in the South. 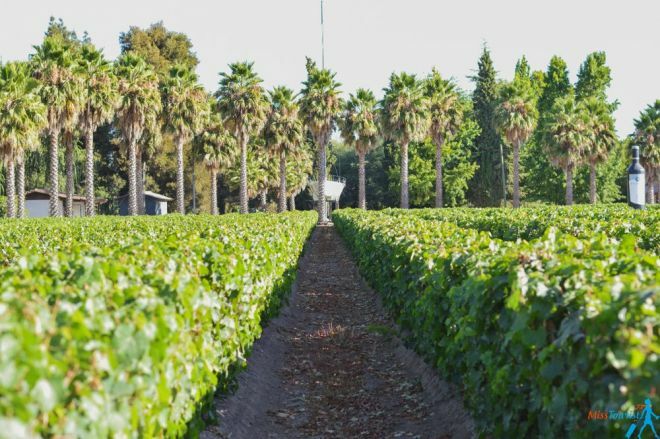 Chile’s wine scene is already established but what you don’t know is that it is growing so fast and producing such good quality wines that is already closing in on the traditional wine makers of the World (France, Italy, Spain etc). 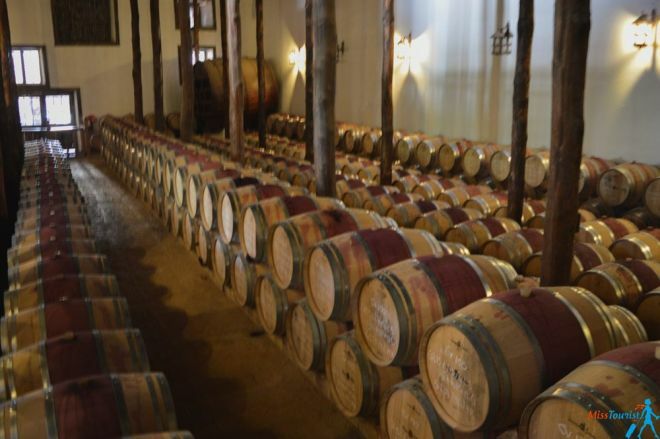 Chilean wine experts will sustain they are already producing better wine than in Europe, Europeans will never admit it. And us, the wine lovers will just enjoy their competition. 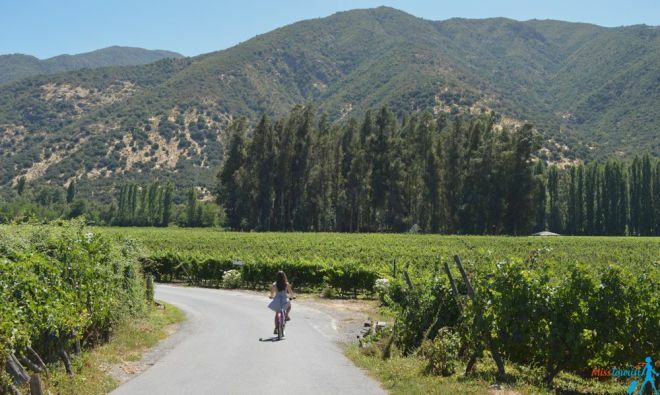 I decided to visit some wineries in the region called Colchagua valley. I still go back there in my dreams! I chose Santa Cruz as my headquarters, there are many wineries around it. 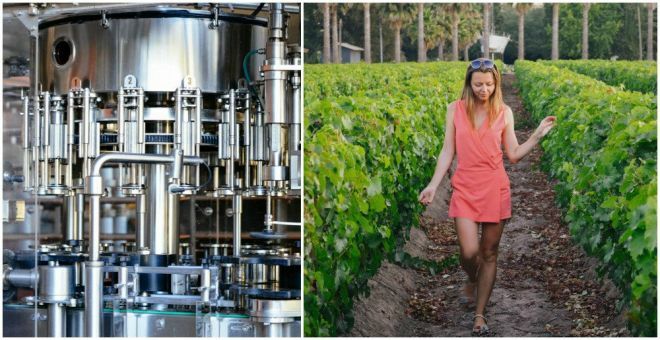 First stop, located near the picturesque city of Santa Cruz, Estampa is a unique winery, focused on modern techniques of creating world class wines. No doubt in that, Estampa wines already got numerous awards and accolades! You can see the unlikeness right away from the contemporary geometric style of the building and the gigantic bottle of wine greeting you right in front of the entrance. Familia González-Ortiz (the owners) have more than 400 hectares of vineyards in different locations in the heart of Colchagua valley. While the winery was renovated in 2001, the brand itself dates back at least 200 years. For the visitors of the establishment, there are tours and wine tastings available. Our consultant, Felipe, greeted us with a big smile and he was really knowledgeable and patient. He not only explain the whole procedure of wine production in the winery from the beginning to the end, but he also showed us different types of grape leaves. 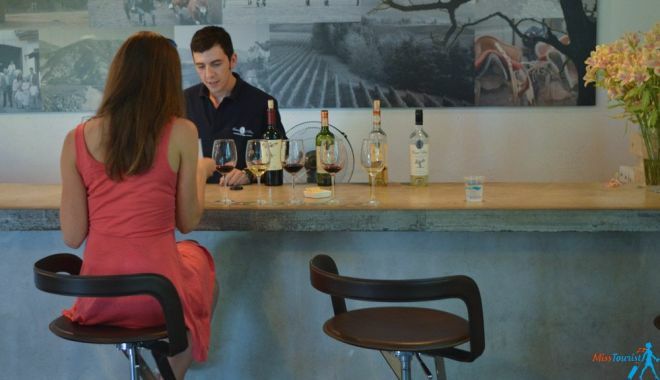 The advantage of taking the wine tour in Estampa is that the tours are almost always private, so you will have the whole winery for yourself. 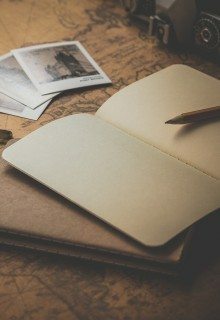 You will have a personalized unique experience as the tour will be done according to your wishes and interests. I went for the sunset tour, which was a good choice because it was not that hot and the light for the pictures was just perfect! 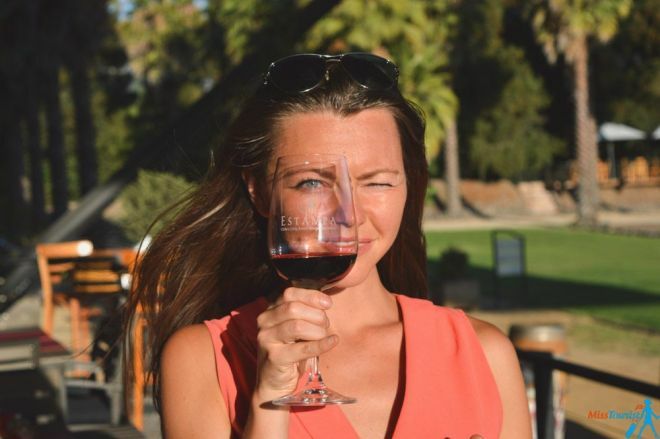 If you prefer to simply taste the wine, without doing the tour, you can do that as well. They have a wonderful restaurant overlooking the vineyard. Also take the cheese and charcuterie platter, mine was amazing! Check out their website for more information on different types of tours they offer. How to get: I rented a bike in Santa Cruz, and it was a really beautiful ride. You can also go by car, there is no public transport to the place. Here are the directions. Oh, and don’t forget to buy some red wine from Chile? Maybe a little bottle like this? 2. The most romantic place in the world – found! Honestly, when writing this post, I hesitated if I even should tell you about this place. Why? The greedy selfish child in me wanted to save this place just for myself. 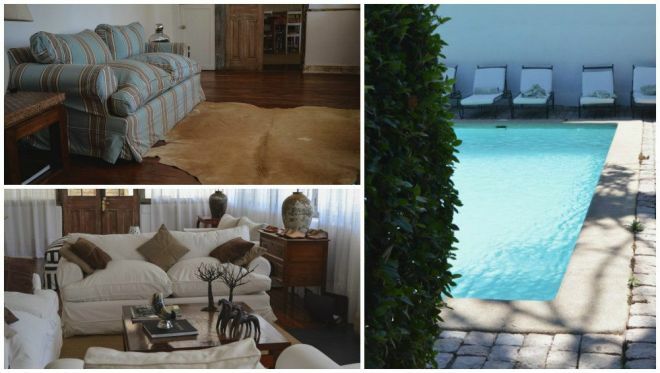 A charming boutique hotel surrounded by endless vineyards? Yes, check me in! Whoaaah! I didn’t expect it to be THIS charming! 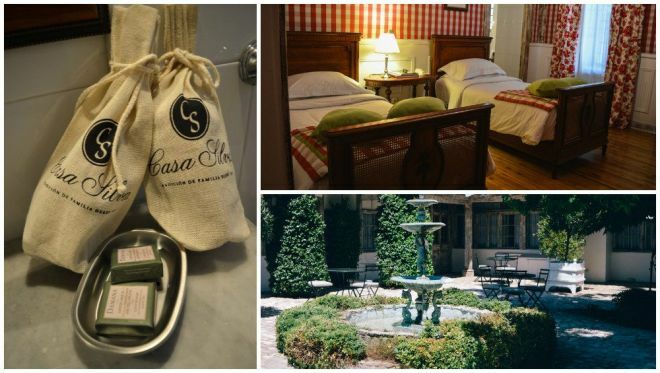 Casa Silva is a secluded aristocratic hotel located in the classic Chilean countryside. Originally it was a family house for familia Silva, so you can imagine, the details of this place are carefully crafted to take you back in time, while keeping all modern facilities! One of the family members delicately decorated the hotel by himself, and I have to say he did an amazing job! It has a tastefully furnished hall, 2 living rooms where you can get to know more about wine culture or just sit in front of the fire place in a cozy couch. Wait, you haven’t been to your room yet, it gets even better! All 7 rooms are unique, mine had a view to the swimming pool. The beds were old fashionable separate. “This is a rest hotel, we want our guests to simply relax here in Casa Silva” – blinked Mariángel from the front desk to me. A bottle of Casa Silva wine (of course!) was waiting for me on the table. The room was comfy, I felt myself a Chilean aristocracy character living in a 19th century mansion! The bathroom was also done in that charming classic style and had literally everything I could need. Also, it was almost as big as the room – which had generous dimensions in any case. For every guest of the hotel, the vineyard excursion and wine tasting is, obviously, included. So I scheduled discovering the surroundings with my private guide. Familia Silva not only knows perfectly how to grow amazing wine, but they also do polo championships. There is a polo field that you will find deep inside in the vineyards. 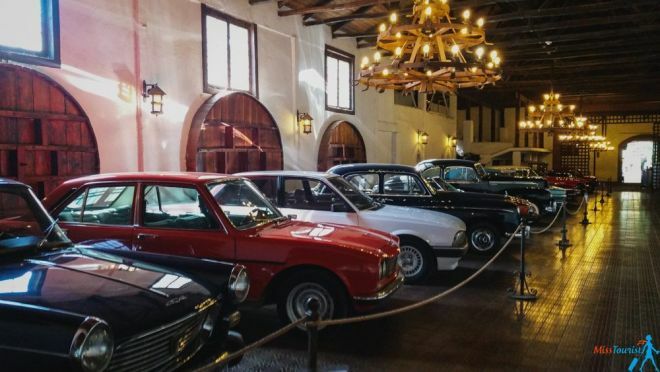 I was shown the inside of the wine cellars, the oldest one in Colchagua valley, and a collection of antique cars right in the hall. I’ve been told that you can do weddings here. How dreamlike would it be to make the wedding in such romantic setting? The wine tasting was really nice, I got to try all sorts of wine that we talked about during the tour, even the most expensive one (120$ per bottle). Tipsy and happy, I took the bicycle (free of charge for the guests) and biked around those stunning vineyards. That was the best part of the stay! I was there in the end of February, which is almost the time for harvesting. The grapes were in abundance and ready to be collected. I had this place just for myself. 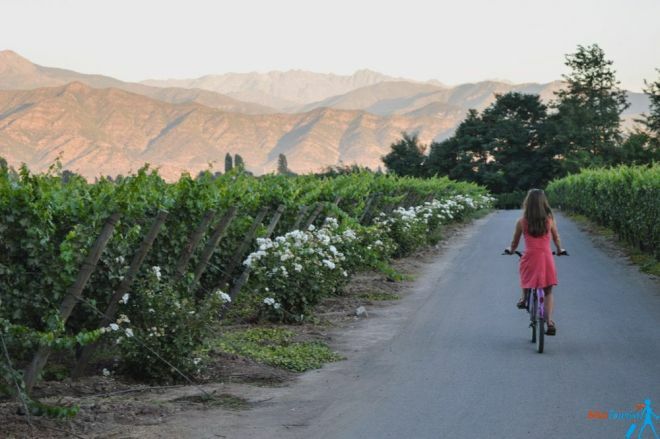 Seeing the vineyards over the sunset, driving around on my bike and watching the sun slowly setting down behind tall mountains, stopping from time to time to take a picture – a dream come true for me! The next morning I could try all the freshly baked organic delights for breakfast and it was delicious! 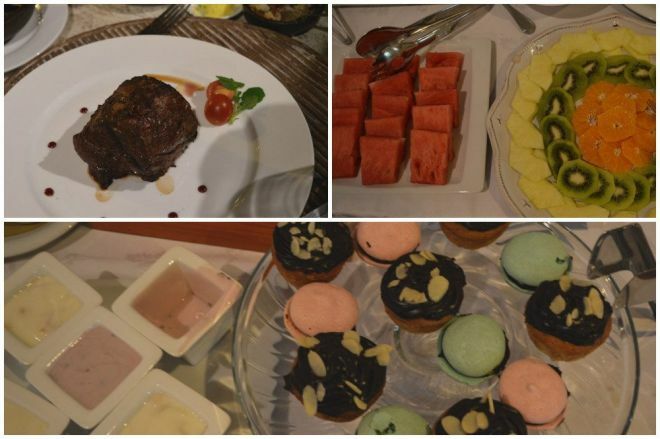 I stayed in Casa Silva for just 2 days, but I am still dreaming about their delicious breakfast! 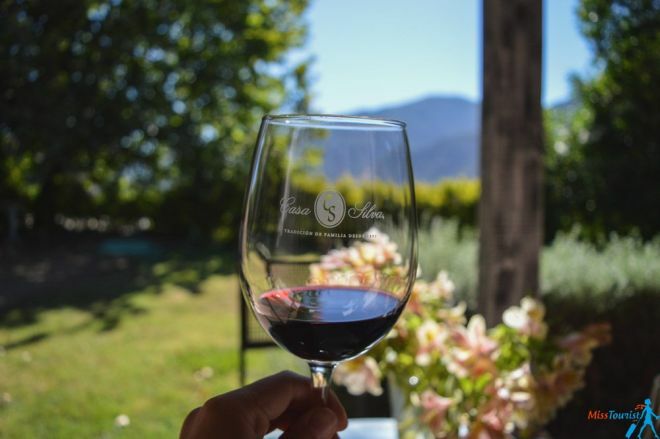 If you want to immerse yourself in the incredible world of wines in one of the most romantic places on Earth, go to Casa Silva, you won’t regret! Check out their interactive website for more inspiration! How to get to Casa Silva: just 2 hour drive from Santiago de Chile, or by taxi from San Fernando if you go by bus or train. 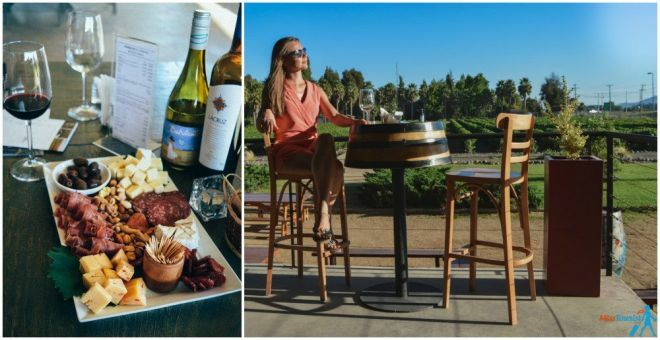 Chile might have so many amazing things, such as Atacama Desert or Torres Del Paine in Patagonia, but as I am a crazy wine lover, I went to Chile mainly for their wineries. And I was not disappointed! 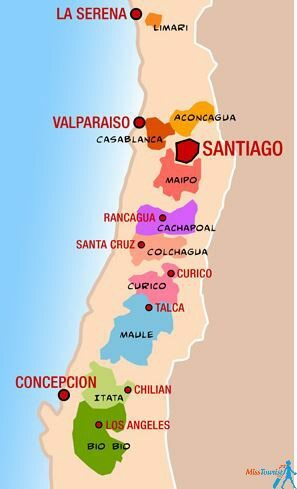 Here I described the 2 top Chilean wineries I have been to, what I liked and what they produced. As a bonus, I have included the description of a place thatI consider it the most romantic place on Earth! 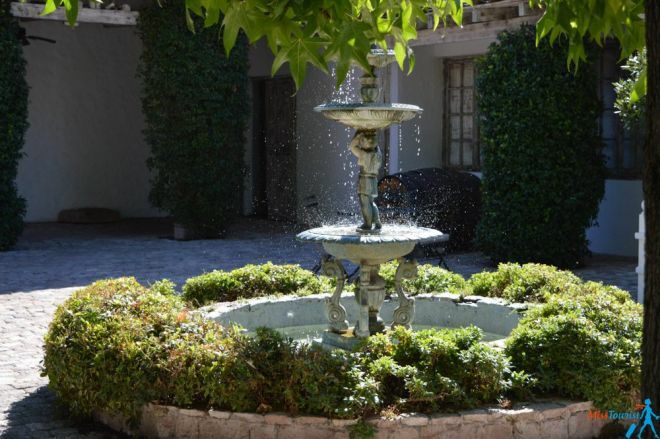 It is owned by a family who is passionate about quality wine producing and have been doing that for 5 generations. I hope you will enjoy wines of Chile the same much as I did! I am always eager to talk more about it, so if you have any questions, leave a comment and I will be quick to answer them ! Machu Picchu – How Much Does It Cost to Visit? Scenery looks stunning and the bikes are a winner! 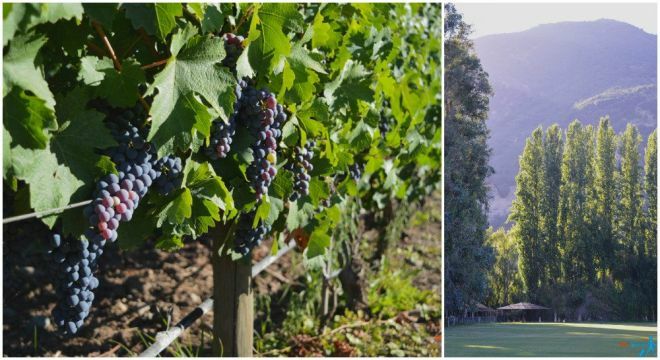 Would be great to know some more about the actual wine and wineries 🙂 What is the climate like in that part of Chile that makes it great for growing grapes? Are there any particular flavours in the wine that scream Chile? I’m guessing they produce both Cabernet and Malbec? Sorry, you are right, I guess i got over excited about the beauty of the surrounding and I could not stop talking about that. I will add some more detailed info about wine, thanks for commenting! 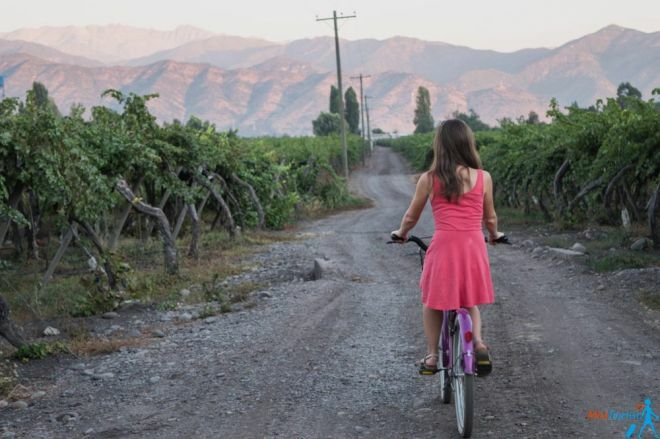 Just a short answer here – while the do of course, produce a lot of Malbec and Cabernet, Carmenere would be the wine that you really need to try when in Chile! Chileans are really proud of their carmenere and you will find it in almost any vineyard in large quantities! Everything about this looks AMAZING! 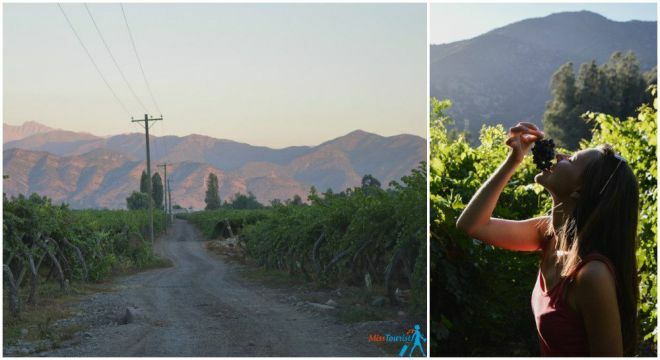 Definitely adding a Chile wine tour to our bucket list! 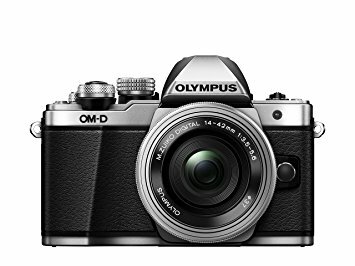 Great photos and reviews, thanks so much for sharing! I was also planning to visit Argentina as I found it one of the best wine producing place. I’d be happy if you could give me suggestion on it too. Nice post Yulia. 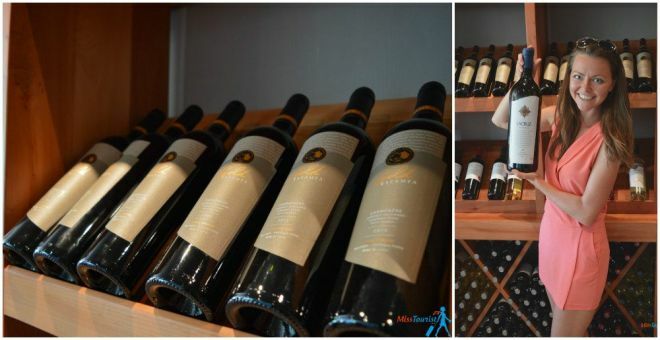 One of my friends recently visited Chile and had a wonderful wine tasting experience. And now even I am planning one for myself. Can you give me more details on where you stayed while in Santa Cruz? You said this was your base. So did you stay at a place and then venture to wineries each day? I’m glad you’re interested in the wine tours in Chile! It’s true I chose Santa Cruz as my headquarters because there are lots of wineries close to it. As I mention in the article, besides Santa Cruz, I also stayed at a hotel in San Fernando named Casa Silva – super aristocratic and romantic. You can find more details about my experience there in the article. In Santa Cruz you can stay at Hotel Parronales – very pretty and cozy and with free Wi-Fi access. Another option could be Hotel Boutique Vendimia Premium with great atmosphere and situated right in Colchagua wine valley. Hope you will have a great time in Chile!